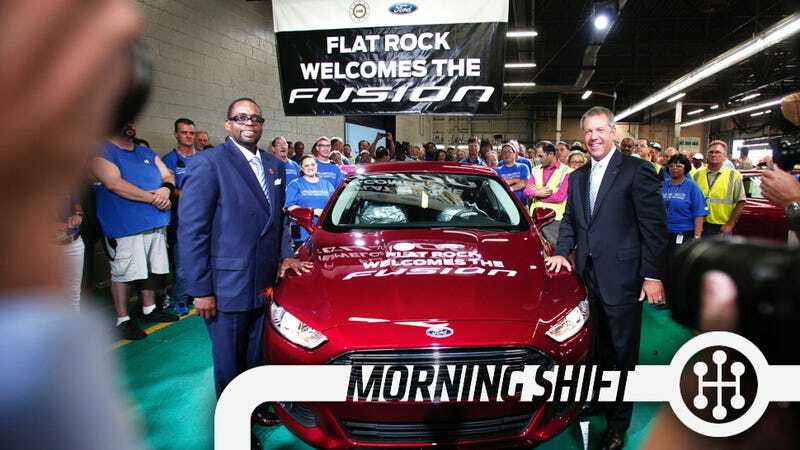 There's a great report over in The Detroit News this morning about how 2015 could be a turning point for Ford and their relationship with the UAW. Well, not necessarily a turning point, but how the UAW will have a lot more leverage than it has had in a while, and how Ford will have a hell of a negotiation on its hands. 2015 is the year that Ford expects profit to rise to a staggering $8.5 billion. But it's also the year that the UAW's contract is up. And after the concessions that were made in 2007 to get the hourly costs more in line with the foreign automakers, the UAW probably won't be looking for no incentives. Ford still pays auto workers the most of all the domestic automakers at around $59 an hour, it is thought that only Mercedes pays more. In 2007, Ford had pay that was more than $74 per hour, which forced changes to stay competitive and brought costs down. For their part, the UAW probably don't want to force Ford into a position where labor costs become prohibitive and they have to move production out of the USA. This is their livelihood too. They have said that it's time for the membership to get a reward. But how likely will it be they get that reward when the concessions were a big part of what led to this point in the first place? It'll be an interesting year, and could be a sign of things to come as the big three continue to recover and bring in more and more money. Takata is a supplier that has been at the center of a massive airbag recall across the entire auto industry. If you have been living under a rock or you accidentally came to this website for the first time ever, the Takata recall exists because when some of their airbags go off, they shoot shrapnell into the people in the car. That's a bad thing. Automakers have had to recall millions of cars because of the problem, and now we're starting to see the ripple effects of that. Honda has cut their recall target by 6.5 percent thanks to the enormity of the airbag recall. In fact, Honda's third quarter fell by 25 percent thanks to the recall. Their profit target was $6.5 billion, but they've had to set aside another $400 million to cover the costs of the recall. Right now, the recall is falling squarely on Honda, but if Takata is found at fault, they expect that a lot of that will be recovered. We'll have to wait and see. The Ruble crisis in Russia may have gone quiet, but it apparently still very much exists. GM knows this, and has decided to shut down its plant in St. Petersburg from March until May, or hopefully until everything dies down. This is not the plant that they co-own with AvtoVAZ, but their solely owned plant.This is one way, along with raised vehicle prices, that GM will stem the flow of loss until the Ruble is stable again. China has been the golden boy of the auto industry for quite a few years now, but it appears demand is slowing in the nation. Or, just demand for Renaults. So, instead of just letting it go, Renault is bringing dealer incentives to China in order to increase sales and profitability. The problem is that Renault already has a fairly weak dealer network, so in order to entice more into the fray. Hope that works out for you, Renault. So, if you missed it last night, Suge Knight reportedly ran over and killed a guy. He's in jail now, but follow our colleagues at Gawker for the latest. How do you think Ford and the UAW will handle these contracts?